The 1914-15 annual report includes very little reference to the war, and it appears that life and work carried on with few changes. 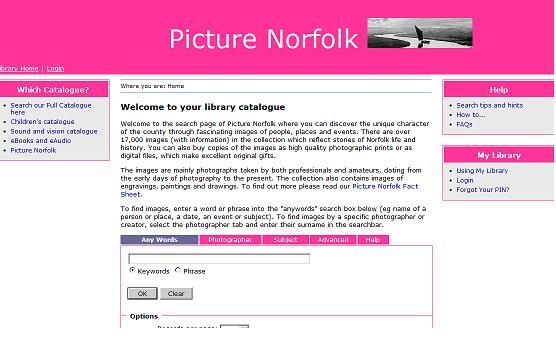 I was interested to see that ‘Some progress has been made with the Norfolk and Norwich Photographic Survey, which was inaugurated in January 1913,’ and amused that ‘it was deemed inadvisable to hold Survey Committee meetings and exhibitions during war time.’ The following year’s report notes that ‘it is hoped that a section can be devoted to the pictorial representation of Norfolk’s share in the Great War, and … donations of photographs of Norfolk regiments, portraits of officers, and portraits of men who have obtained distinction in the war’ were requested. 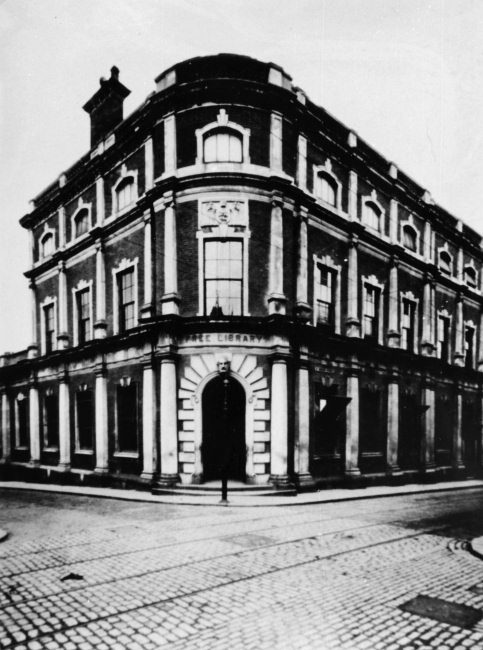 The chairman of the Library Committee also noted in March 1915 that since the outbreak of war, attendances in the News and Reading Rooms (where a wide range of newspapers and magazines were available) had ‘decreased by about 150 daily’ – a drop of about 12% in comparison with the previous year. The only other impact of war is recorded in the paragraphs about staff, where the Senior Assistant in the Lending Department Mr F T Bussey’s request in March 1915 for permission to enlist in His Majesty’s Forces for the period of the war is noted. The 1915-16 report clearly indicates that war is now having an impact – it starts with a section headed The Library in War-Time, which begins ‘The Committee realised that there are special national functions which the Library can fulfil during the present period of stress and strain’. Activities undertaken included distributing leaflets issued by the Central Committee for National Patriotic Organizations which examined the causes of the war, and the purchase of a number of books and pamphlets about the origins, causes and history of the war and the countries involved. Many soldiers were billeted in Norwich, and they were given access to all the Library facilities, including being allowed to borrow books. The City Librarian contributed notes to the local papers on ‘What soldiers read’ – the Annual Report notes that ‘their reading was very varied in character, and embraced all branches of knowledge – an interesting illustration of the high mental quality of the great British Army.’! Another innovation prompted by the war was the creation of the Camps Library, which provided a service for British Army camps at home and abroad. Public Libraries were asked for assistance and Norwich Library supplied the best of the discarded books from the Lending Library and also acted as a collection point for public donations of books and magazines to be sent on to the Camps Library. Subsequent reports during the war years and just after continue to include paragraphs on The Library in War-Time and mention, amongst other things, the purchase of books on ’subjects of national importance’ such as Child Welfare; the making of munitions; thrift and economy; and vegetable gardening. The use of the Library by soldiers is recorded in each report, together with the information that the Library held ‘all the important books recommended in the official syllabus issued by the Army in connexion with the scheme of educational training for young soldiers.’ The City Librarian was asked by the military authorities to arrange educational lectures for the soldiers, and many were delivered in the later years of the war, on a range of subjects and mostly illustrated with lantern slides. Official thanks from commanding officers for these and the access to the Library for soldiers are noted in the reports, as well as individual letters of thanks from officers and men. One of these is reproduced in the 1917-18 report, as it accompanied the presentation to the Library by Lieut. Colonel W A J O’Meara of a wax model of part of the Somme Battlefields. He wrote that it represented ‘a small thankoffering’ for the assistance and facilities of the Library that he’d enjoyed during the time he’d been in Norwich. The 1918-19 report sees the first mention of a ‘Norfolk and Norwich Roll of Honour of the natives and residents who have fallen in the War’, which the Committee agreed should be compiled under the supervision of the City Librarian. By the time the 1919-20 report was compiled, it was estimated that 11,500 names had been recorded, of which 2,600 were Norwich men. In the 1916-17 report we learn that ‘With the view of preserving a local record of Norfolk’s share in the great war, the Committee has begun to collect suitable items, and would welcome donations of printed or written material which would in any way help to further this object.’ Items requested included portraits of the fallen, press notices of regiments and of individuals, letters describing the experiences of men at the Front, maps, posters and items relating to local branches of the British Red Cross, Volunteers, Special Constables and other war organisations. 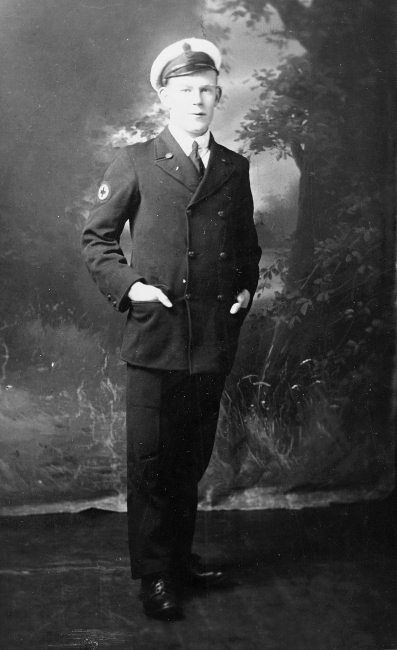 Later reports record considerable numbers of additions of this type of material, and the 1919-20 report states that ‘nearly all the additions of prints, as in the two previous years, were photographs of men who fell in the War.’ In the summer of 1919 the Library Committee co-operated with the Castle Museum Committee in putting on a Local War Exhibition in the Halls; many local war photos from the Library’s collection were displayed, and ‘an important feature was a collection of photographs of fallen heroes, exhibited in an ante-room.’ These war portraits are now held at the Norfolk Heritage Centre; they have been digitised and are accessible on Picture Norfolk www.picture.norfolk.gov.uk . And what of Mr Oakes and Mr Nobbs? A quick check of various databases on Ancestry (available on all Norfolk Library Service computers) leads me to suggest that Arthur Nobbs served as a Sick Berth Attendant at Pembroke I (Royal Navy barracks at Chatham) and Pembroke II, the Royal Oak and at Chatham Hospital. He was awarded the Victory Medal and the British War Medal and was paid a War gratuity of £64 in 1922, the year that he was discharged from the service. It appears that he married Ellen Patience Lamb towards the end of 1921 and they both lived to a good age – she died 1971 in Hampshire and he lived until 1973, dying in Surrey. But F W Oakes is more elusive, and I’m still trying to find basic information such as his full name, so that I can search for his war record. This entry was posted in Local collections, research project and tagged home front, library in war time, soldiers in the library, soldiers' portraits, Somme, wax model. Bookmark the permalink.